50 Church Street, originally built in the 1730's, is situated in the old town of Padstow, directly opposite the Parish Church of St Petroc. A very short walk from the harbour, shops, pubs and restaurants. Located close to the coast path, we are an ideal base for walkers. Nearby is the Camel Trail, popular with cyclists and walkers alike. We have space for bikes. Visit Wadebridge Cornwall and the surrounding villages and stay in bed breakfast, hotel or holiday apartment accommodation provided by BedPosts members. The town of Wadebridge in Cornwall and its 7000 inhabitants are on both sides of the River Camel near Padstow. Attractions: The Royal Cornwall Agricultural Show held annually in June; Carnival held each year in July; Eglos Craft Fayre held each year in August at Egloshayle Church; Cornwall Folk Festival. 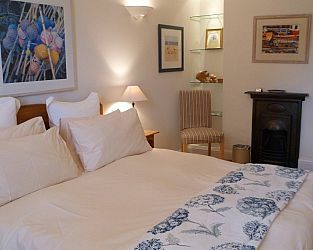 If you seek accommodation near Wadebridge in Cornwall you have come to the website of a “club” of providers who offer affordable quality accommodation around UK in hotels, bed and breakfasts, guesthouses, inns, and restaurants plus self-catering cottages and apartments .